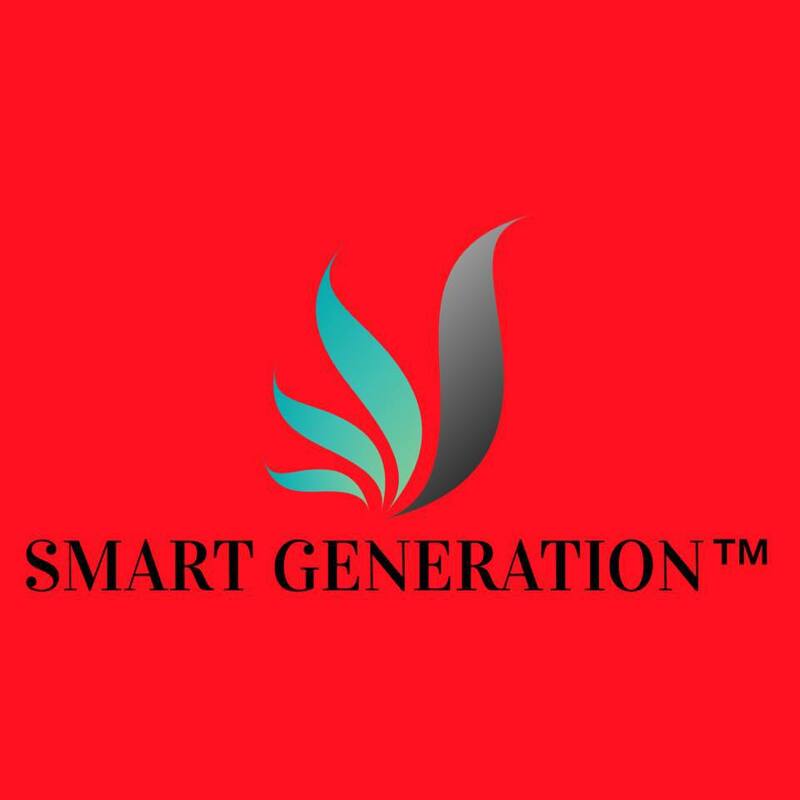 Attached with a camera for better quality images and videos. 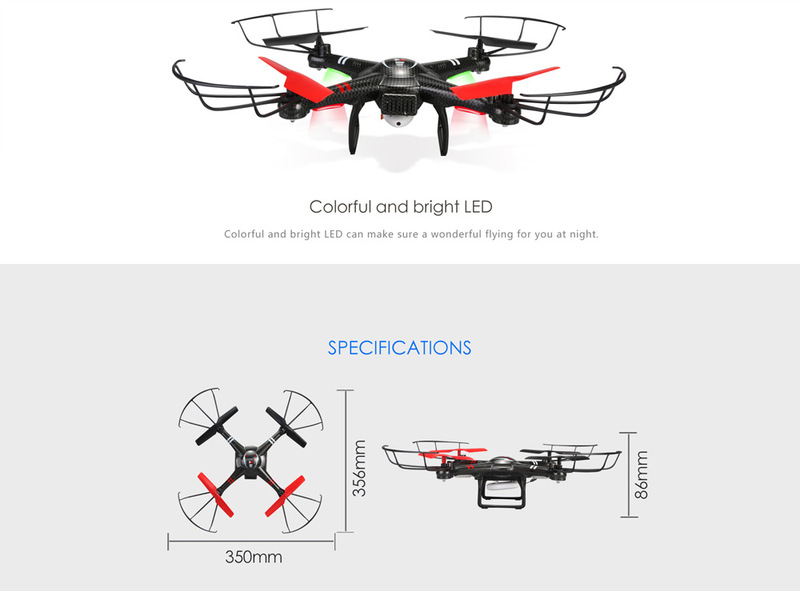 You can use it to capture different specific details and findings as you like. 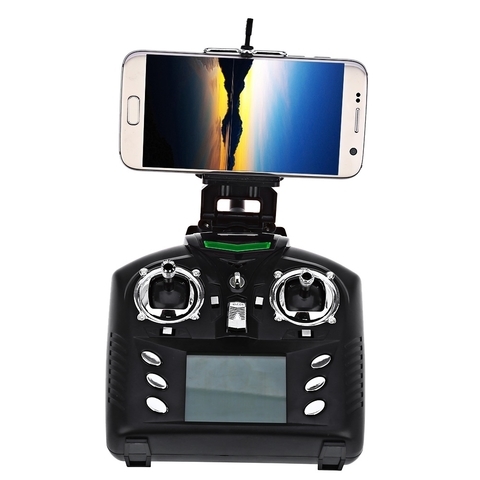 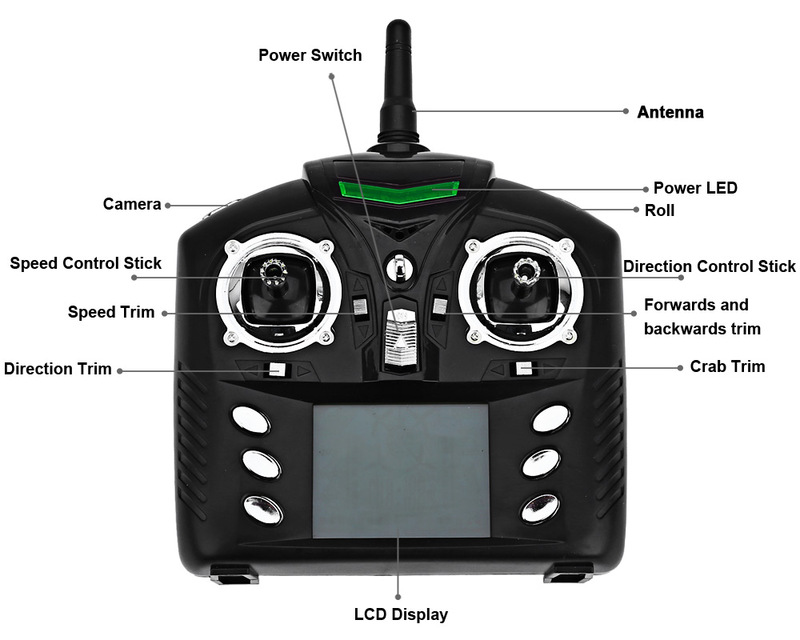 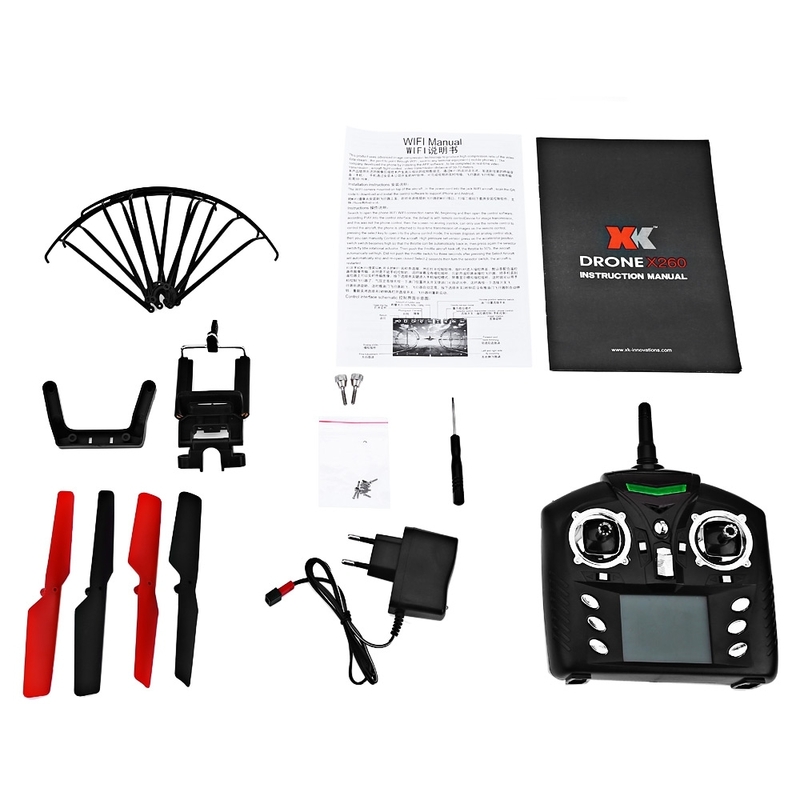 If download and install FPV software to the smartphone, FPV real-time transmission can be achieved through the connection of the quadcopter and the smartphone. 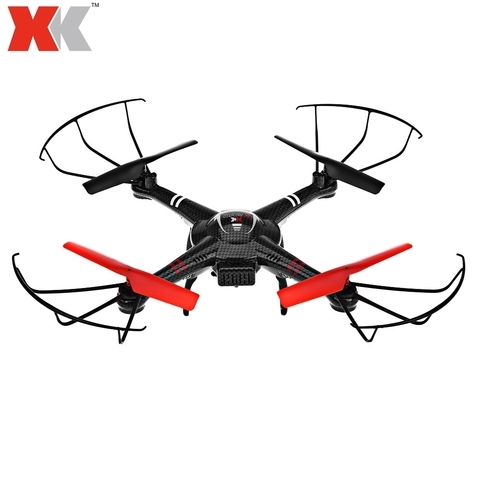 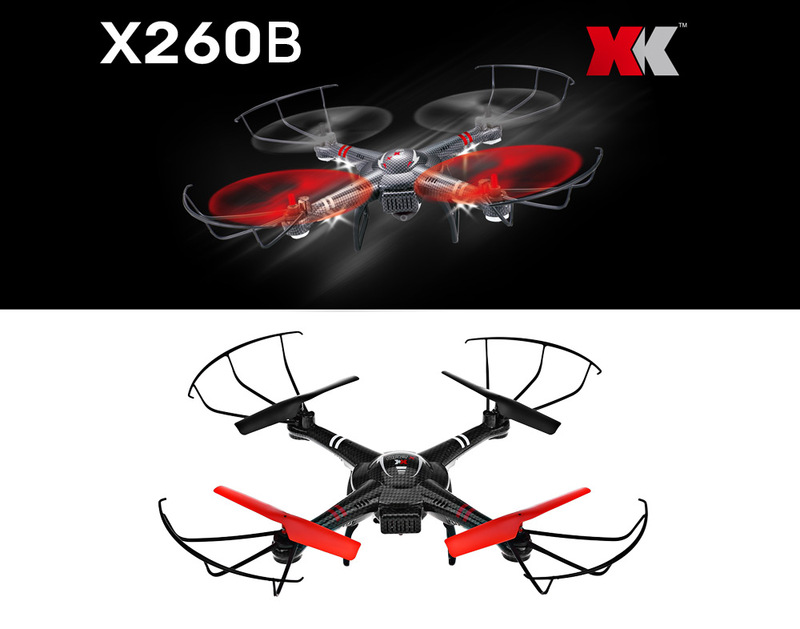 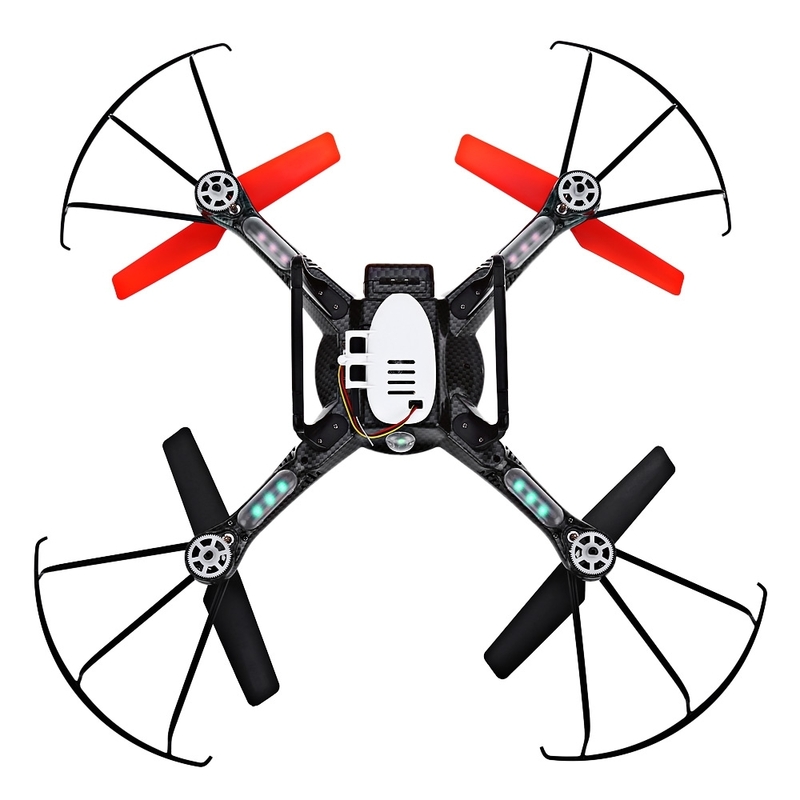 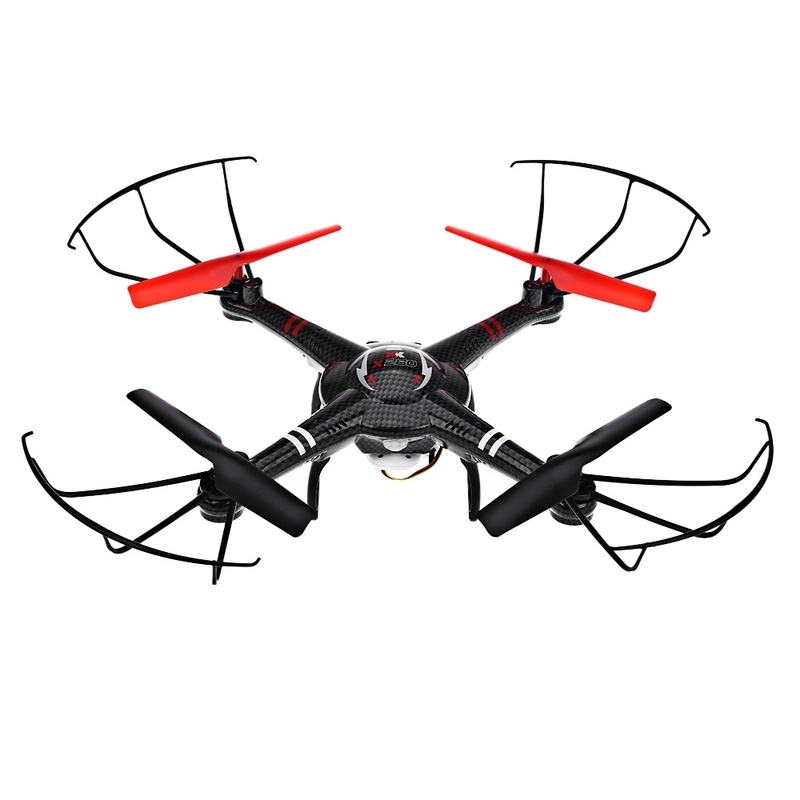 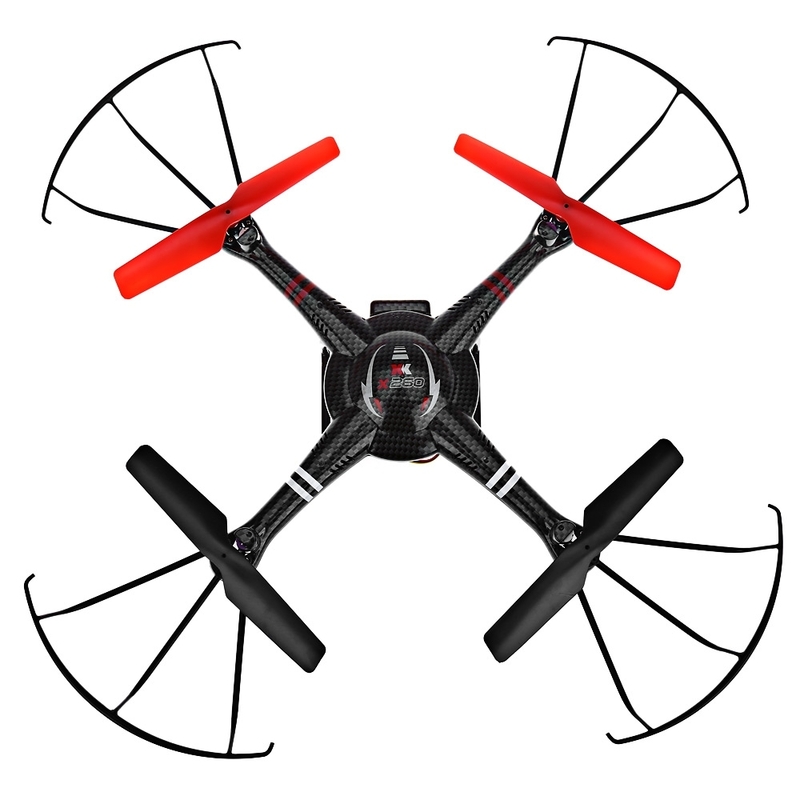 The quadcopter will flip forward / backward / leftward / rightward according to your instructions. 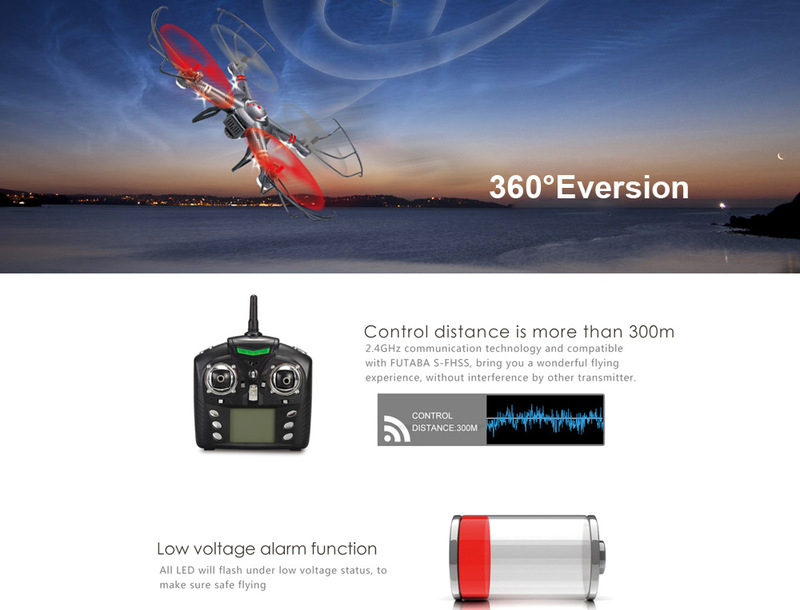 Special for beginners. 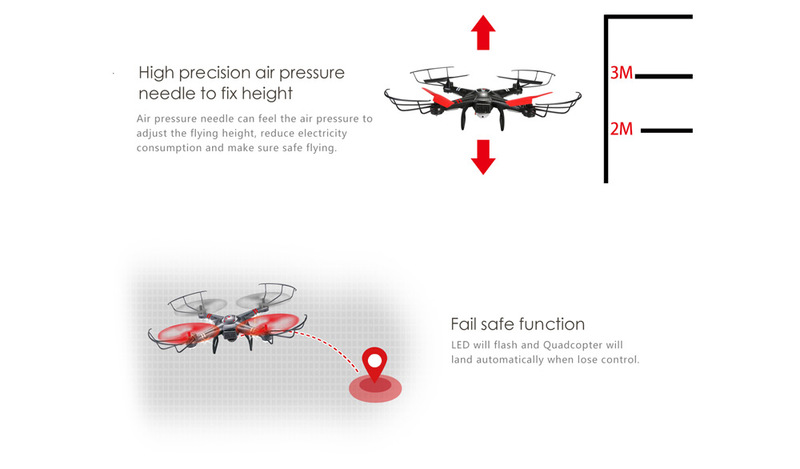 Air pressure needle can feel the air pressure to adjust the flying height, reduce electricity consumption and make sure safe flying. 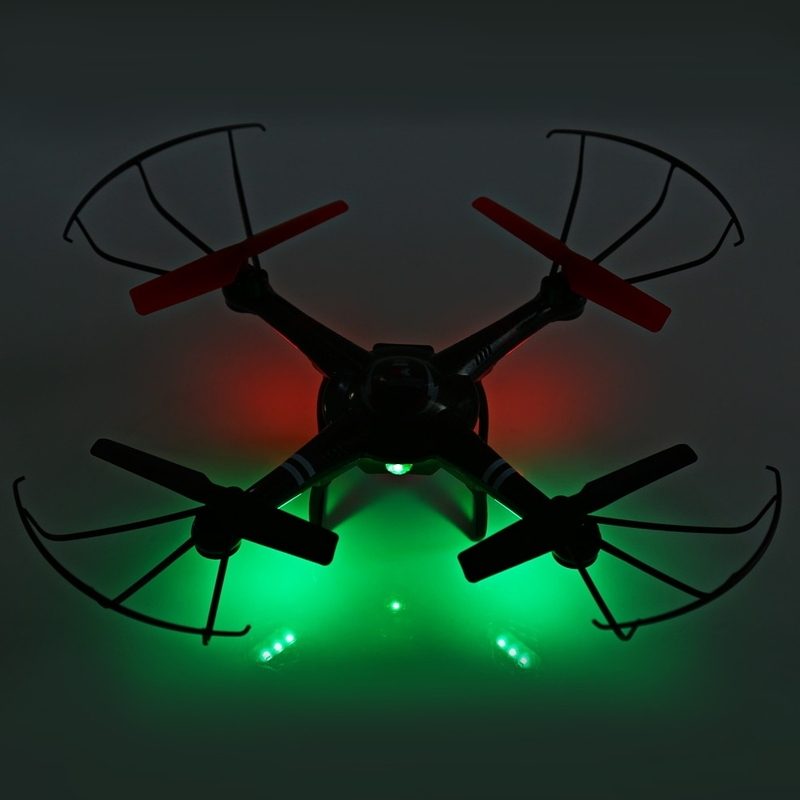 LED will flash and quadcopter will land automatically when losing control. 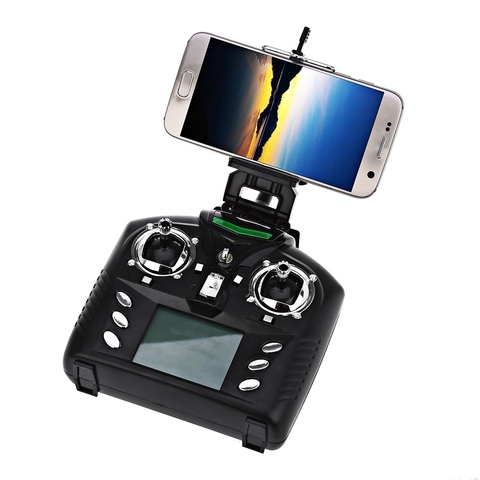 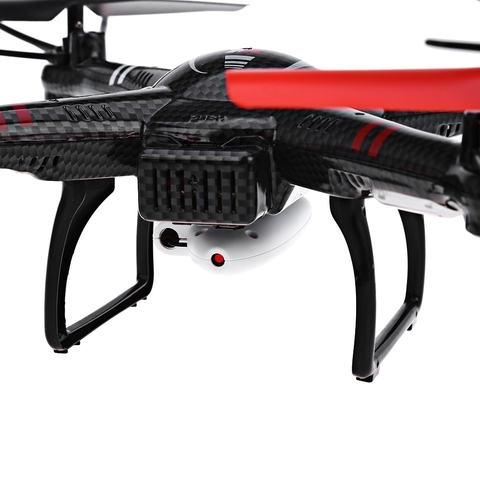 5.8GHZ communication technology and compatible with FUTABA S-FHSS, bring you a wonderful flying experience without interface by other transmitters. All LED will flash under low voltage status, to make sure safe flying.